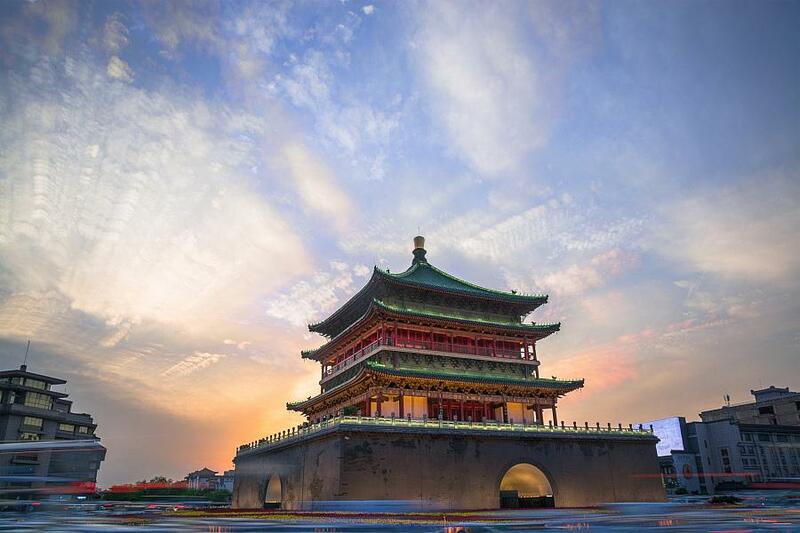 This Private 7 Days Xi'an Pingyao Datong Beijing Classic tour will lead you to visit the main attractions and experience the local culture and lifestyle in each city. Upon arrival, you will be greeted by our local Xi'an tour guide at the exit of the airport with a welcome signage "Xi'an Private Tour". And you will start your tour directly. First drive you to visit the Big Wild Goose Pagoda, Big Goose Pagoda is one of the oldest structures in China. The storeyed pagoda is an architectural marvel. It was built with layers of bricks without any cement. The seams between each layer of bricks and the "prisms" on each side of the pagoda are clearly visible. 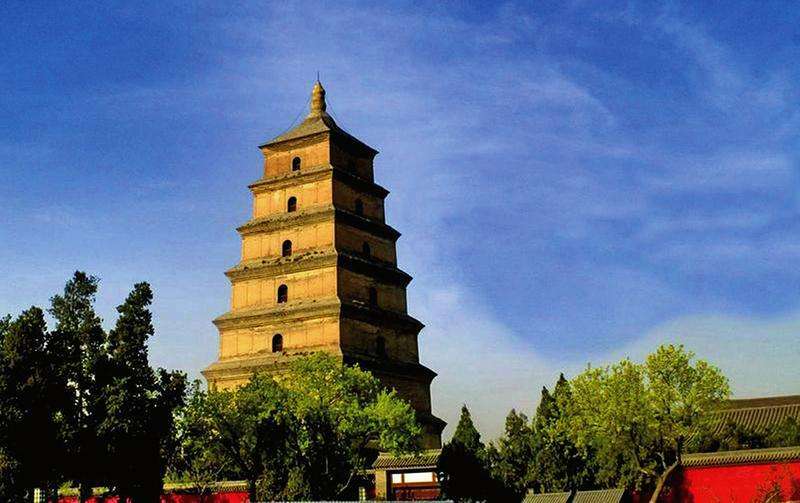 The grand body of the pagoda with its solemn appearance, simple style and high structure, is indeed a good example of Chinese traditional architecture. Then head to Bell Tower, which located in south east of the Drum Tower. In Chinese history from Ming Dynasty, each city had a bell tower and a drum tower. The bell was sounded at dawn and the drum at dusk each day in ancient time, a means of telling time. Xian was not exception. The Bell Tower and Drum Tower of Xi'an date back to the Ming dynasty (1368-1644). The two are located in the center of the Xian city connecting the four roads from east, south, west and north within the city wall. Atop the Bell Tower you will have a panoramic view of the Xian City. Finally visit the Muslim Quarter to meet many local snacks, is the most famous food street in Xian. It consists of Islamic food area, ethnic group shopping center, Great mosque and living area of Hui people. 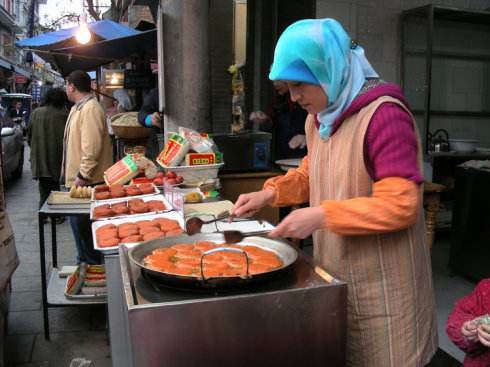 It is a place distinct for its delicious food and Islamic culture, with a history of more than 1000 years. The streets are paved by gray flagstone and the buildings are of Ming style. The food in the street is of north and west flavor, in which crude pancake in mutton soup, cold rice noodles, Chinese hamburger, Qishan noodles are famous Shaanxi food.Besides, there are other local flavors: Xi’an small cakes, Shaanxi pasta, Rice cake, etc. And in the street, most are beef and mutton products, in which the roast beef is especially delicious. After breakfast, our guide will meet you at your hotel lobby. And you will start your tour with Terracotta Warriors and Horses Museum. Terracotta Warriors and Horses. To visit Army of Terracotta Warriors is the main reason why you are here in Xian. The Terracotta Army is a collection of terracotta sculptures depicting the armies of Qin Shi Huang, the first Emperor of China. It is a form of funerary art buried with the emperor in 210–209 BCE and whose purpose was to protect the emperor in his afterlife. Drive you back to the Xian, then head to Xi'an Ancient City Wall. As one of the UNESCO's world Heritage Site, Xi'an Ancient City Wall is one of the oldest, largest and best preserved Chinese city walls, exhibits the "complete features of the rampart architecture of feudal society". The current city wall is an enhancement of the old Tang Dynasty structure, as a result of the emperor's wall building campaign. 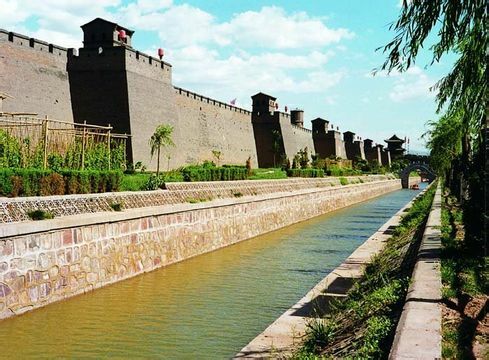 Now, Ancient City Wall is one of the top attractions in Xi'an city. It takes around half day to walk around, cycling is a good choice for visitors go around and appreciate the construction in Ancient China. After breakfast, drive you to the Xi'an train station for your train to Pingyao. It will costs 3 hours to get there. Upon arrival, our guide will wait you at the exit of the train station with a welcome signage. First drive you to visit Qiao Family Courtyard. The Courtyard of Family Qiao was built in the late 1700s during Qing Dynasty (1644-1911) by the then influential Qiao family.The entire courtyard house covers an area of 4,175 square meters (0.42 hectares) and consists of 6 main courtyards and 20 smaller ones, with 313 rooms altogether. Various kinds of red lanterns hang in courtyards, and the carving on the roof is very delicate. The courtyard has been featured in many famous Chinese movies and TV series, including the well-known film "Raise the Red Lantern." This internationally-acclaimed film fully demonstrates the house's character. 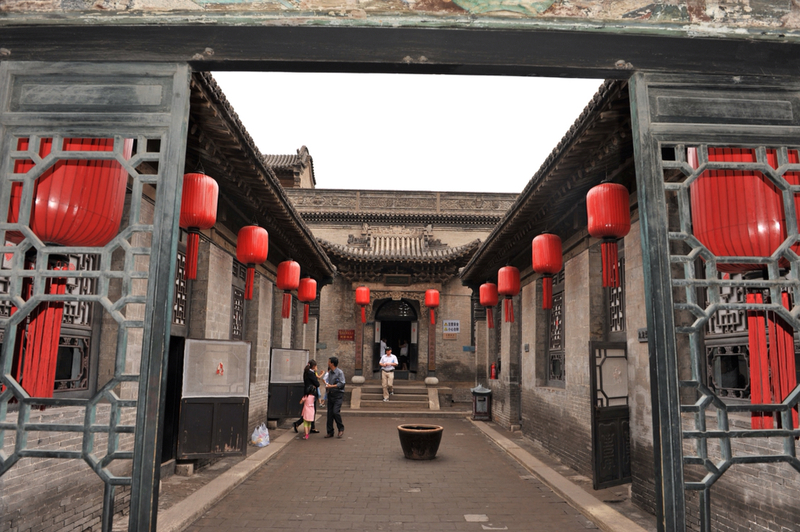 After the sightseeing, drive to the Pingyao Ancient City to Check-in at our pre-arranged lodging in Pingyao. There are lots of local restaurant in Pingyao, and easy for you to have lunch. After lunch, drive you to visit the Mingqing Street, Ming and Qing street, also called Nanda Jie (South Avenue). Located at South Avenue in Pingyao, the street stretches 750 meters with almost one hundred shops and local houses, it's Reputed as the “Wall Street of China”, Ming-Qing Street used to be the most prosperous part of the county and the financial center of China. In the past, these shops encompassed involved nearly all fields of commerce including finance, medicine, silk, clothing, fans, lanterns and general merchandise. These shops in the Ming-Qing Street were all built with bricks and stones completely in the style of Ming and Qing architecture. Nowadays, many shops have been rebuilt as museums or restaurants. Then visit the Ancient City Wall of Pingyao City. It was the most well-preserved wall among the ancient historical and cultural cities in China with the history of over 2000 years. It is square, 10 meters high, 5 meters wide, and 5.4 kilometers in circumference. There are 72 terraces with battlements. A bird's-eye view of the city, the wall looks like a turtle, hence the name 'Turtle City'. Drive you back to your hotel and your tour ends. After breakfast, drive you to Wang Family's Courtyard(aournd 40 minutes). Situated in Jingsheng Town, which is a UNESCO World Cultural Heritage Site. Wang Family's Courtyard is Acclaimed as the "First Folk Residence in Cathay", the Grand Courtyard of the Wangs is the largest-existing folk residence cluster in China and a model of the merchant family's residence in North China's Shanxi Province, demonstrating the quintessence of Chinese architectural art and cultural values. The famous architect Zheng Xiaoxie researched the place six times, describing it as a "priceless treasure not only for the nation, but also for the entire world." After the Wang Family's Courtyard sightseeing, drive north 20km to the designated restaurant by Zhangbi Village, and then have lunch at the restaurant, you will enjoy the yummy local foods. After lunch, your private tour guide will lead you to explore the Zhangbi Ancient Castle, Zhangbi Ancient Castle looks very normal and exactly the same as outside, but conceals a large-scale, maze-like underground world, a tunnel network which provides a deep insight into the ancient defenses. After the sightseeing, drive you back to your hotel in downtown Pingyao. Today our driver will take you to Pingyao train station for your train to Datong. It takes around 7 hours for one way. After arrived at Datong in late afternoon, your local Datong private tour guide will wait you at the exit of Datong train station. And you will be escorted to your hotel directly. The rest of the day is free for you. In the morning, your private tour guide will pick up from your hotel. And start the Datong Day Tour. Firstly, drive you to visit the Yungang Grottoes. Yungang Grottoes is one of three large grottoes. located in the south of Wuzhou mountain north bank of Ten-Mile River. It is about sixteen kilometers to the west of Datong.It was promulgated one of the first group of key cultural relics preservation units by the State Council in March 1961. Yungang Grottoes were inscribed into the World Cultural Heritage List by the UNESCO In December 2001 and became first group of 5A levet Chinese Tourist Areas in May 2007. Your lunch will be arranged at a local Chinese restaurant. Then, head to visit the Hanging Temple. Hanging Temple is one of the world's top ten most odd dangerous buildings, built into a cliff (75 m or 246 ft above the ground) near Mount Heng in Hunyuan County. 64.23 kilometers to the Datong. Along with the Yungang Grottoes, the Hanging Temple is one of the main tourist attractions and historical sites in the Datong area. Built more than 1,500 years ago, this temple is notable not only for its location on a sheer precipice but also because it is the only existing temple with the combination of three Chinese traditional religions: Buddhism, Taoism, and Confucianism. The structure is kept in place with oak crossbeams fitted into holes chiseled into the cliffs. After that, drive you to train station and leave for Beijing. (around 6 hours for one way). Our local Beijing tour guide will pick you up at the exit of the train station and you will be escorted to your hotel direclty and have a rest. After breakfast, our guide will meet you at your hotel lobby. You will be transferred to Mutianyu Great Wall. Mutianyu Great Wall is one of the best-preserved and best-known Great Wall sections. Compared with the top-notch Badaling, Great Wall at Mutianyu is less crowded. Mutianyu Great Wall was first built in Northern Qi Dynasty in order to strengthen its defensive potential when they guarded the strategic pass and served as the northern protective screen, guarding the capital and imperial mausoleums for generations. You can expect enough time on the Mutianyu Great Wall to soak up its beauty. Take photos from different places and angles so you’ll have plenty of memories you can share with your friends when going back home. After finished the visit of Mutianyu Great Wall, drive you to Beijing airport and you fly back home. 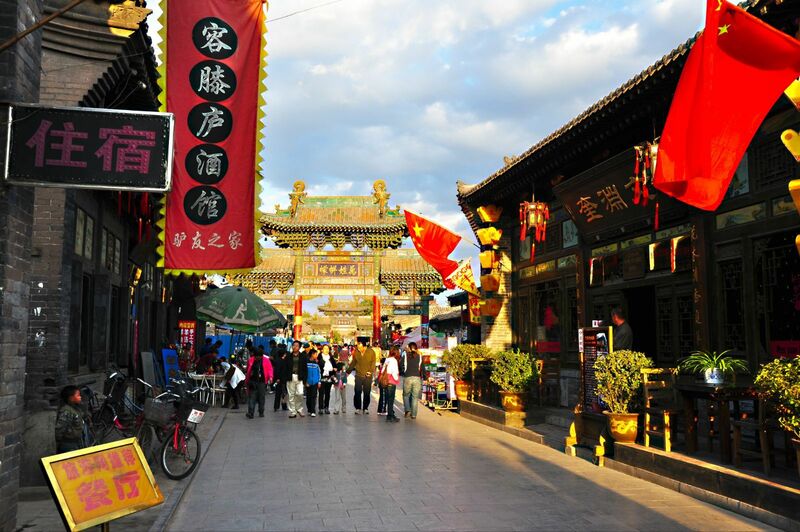 Your 7 Days China Tour with Beijing, Datong, Pingyao & Xi'an come to the ends.